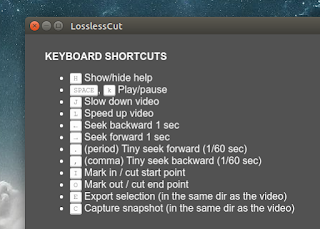 If you find video editors to be confusing and all you need is to just cut a portion of a video, you can try LosslessCut, an application available for Linux, Windows and Mac. LosslessCut was especially created to make it easy to quickly extract parts of video files from a video camera, GoPro, drone, and so on, without losing video quality. 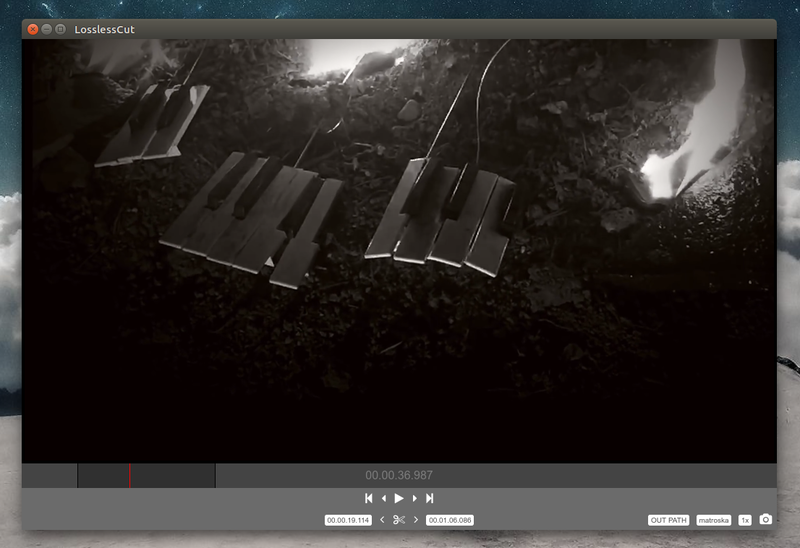 The application is based on Chromium, using a HTML5 video player, and it uses FFmpeg for cutting the videos. According to its GitHub page, LosslessCut doesn't re-encode or decode the videos, making it very fast and especially useful for large videos. 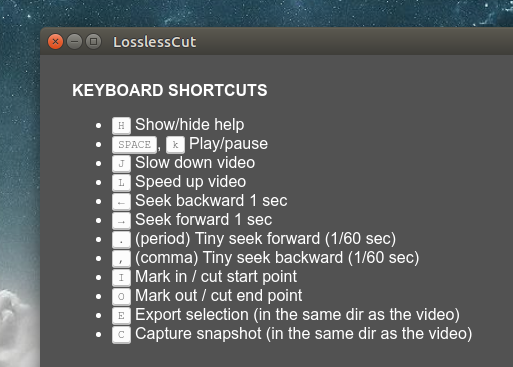 keyboard shortcuts (press "h" to see a list of keyboard shortcuts). Unless you choose a different output folder, the video should be exported in the same directory as the original. To run it on Linux, extract the downloaded archive and simply double click on the "LosslessCut" executable to launch the application.